Hey there stampers! I hope you have all enjoyed your weekend. My apologies for being quiet- it's been super busy here at my house. We are preparing for my son's graduation party in 2 weeks so I've been swamped with creating decorations, party favors, centerpieces, etc... Thankfully I was able to get the majority of things finished this weekend! Even though I've been busy- I did manage to find a few minutes to create an adorable card to share with you. 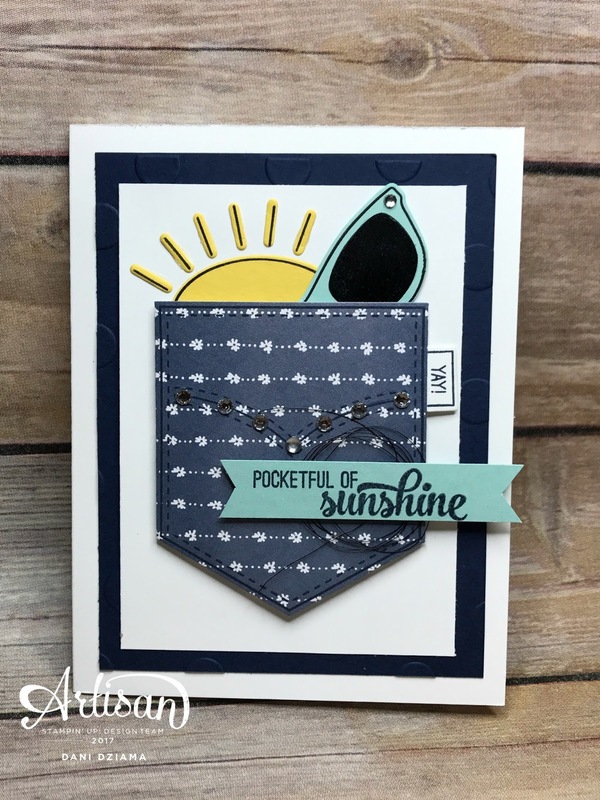 It was created using the A Little Wild stamp set and coordinating Little Loves framelits dies. When I first saw this stamp set in the catalog it reminded me of a babies and small children. Upon closer examination I realized that it can be used for so much more! It's definitely cute and kids will love it but then again- so will adults! 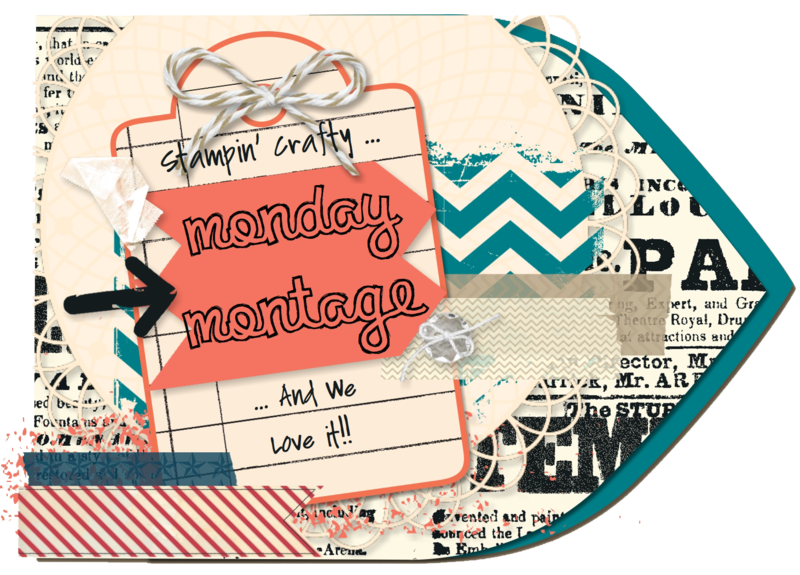 Monday Montage #95- Happy Birthday Gorgeous! 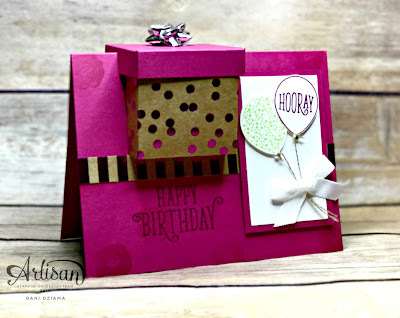 My projects tonight feature the Happy Birthday Gorgeous stamp set and the Foil Frenzy Specialty DSP. As you can see from the picture below this is a super fun project! I however am not the original creator of this design. My friend Becky Roberts is the original designer. I chose the Foil Frenzy Specialty DSP for the boxes as it's thicker than regular DSP. It's almost card stock thickness. It's also embossed and foiled with some pretty fabulous designs. My project isn't just a card. 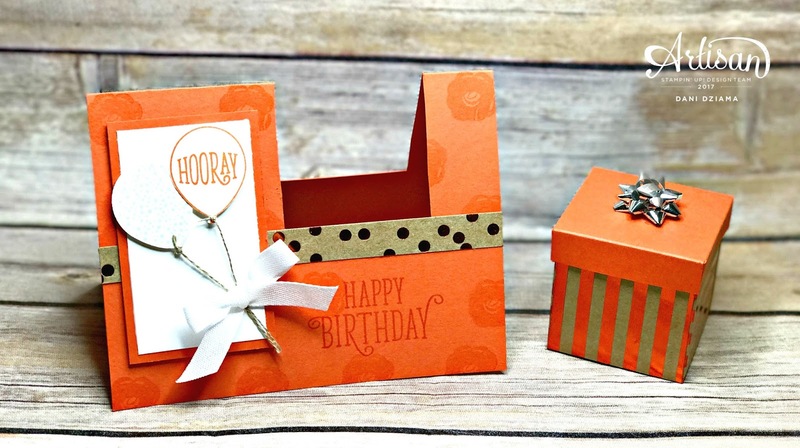 Its a card and a gift box all in one! The box measures 2" square so isn't huge. It may not hold a ton but it is large enough to hold some jewelry, cash, or other small trinkets. The picture above shows what the card looks like with the box removed. I personally would only remove the box to open the gift. The rest of the time- I would store the box on the card. Since there are 4 colors to the Foil Frenzy Specialty DSP- I made a card/box in all 4 of the colors. I'm only sharing 2 out of the 4 colors as they all pretty much look the same. The one below is Berry Burst. It just might be my favorite out of the whole lot! What a fun way to give a gift! Click the NEXT button to go to the fabulous Elizabeth Price or click the BACK button to head on over to the lovely Cathy Casey. Stampin' UP! Artisan Design Team Blog Hop- Happy Birthday Gorgeous! 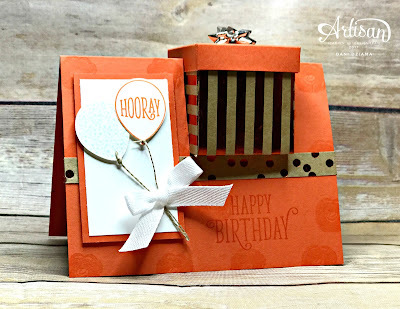 For this hop, we are featuring the Happy Birthday Gorgeous stamp set. Let me start by saying this stamp set is absolutely AWESOME! It's quickly becoming one of my favorite go to sets! I love everything about it. The stamp set itself is comprised of 32 photopolymer stamps. There are several choices for sentiments, flowers, balloons, even a label that coordinates with the Classic Label Punch! 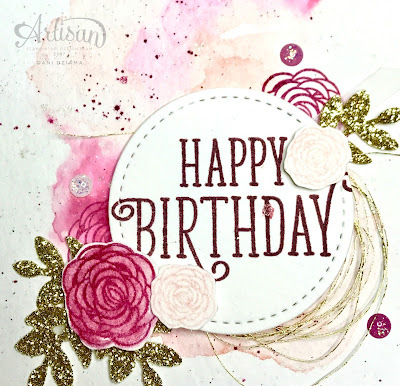 To create the card shown above- I began by adding some watercolor wash for the background. I used two different colors for this process (Berry Burst and Powder Pink). 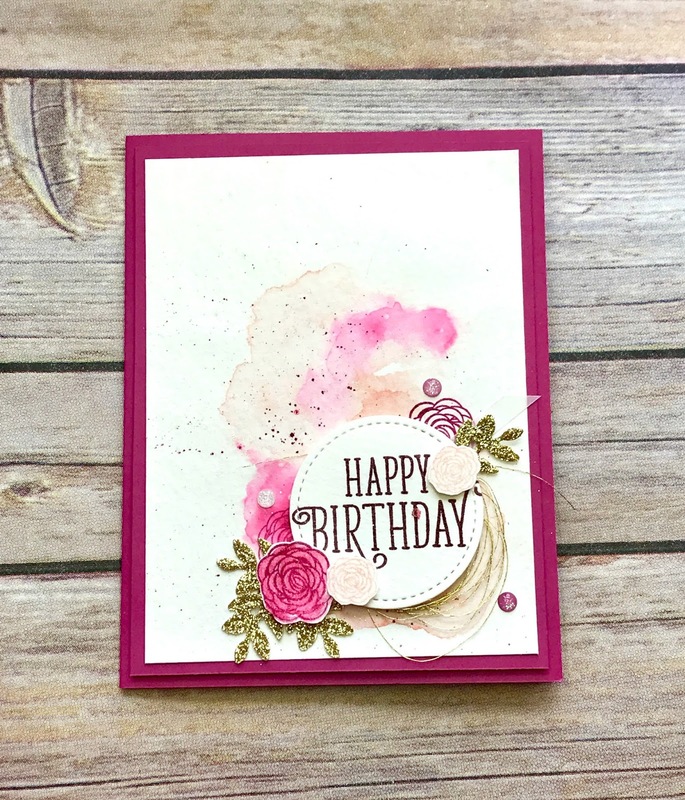 I then added some splatter with a Berry Burst Stampin' Write Marker and clear Wink of Stella. 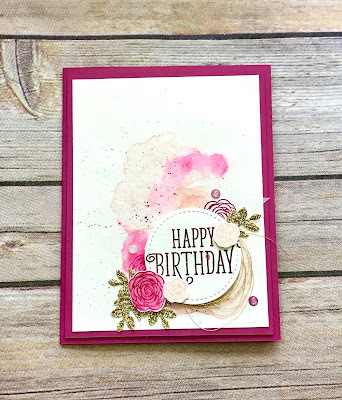 Next, I inked up the larger flower outline image with Berry Burst and stamped it a few places on the watercolor card stock. I then cut out 4 sets of leaves from the Lovely Laurel Thinlits Dies in Gold Glimmer Paper. The addition of floral images that were fussy cut added extra dimension to the card. After a little debate on what else the card needed to be considered "finished"- I added some gorgeous new Glitter Enamel Dots in coordinating shades. They are the perfect finishing touch! Good evening stampers! 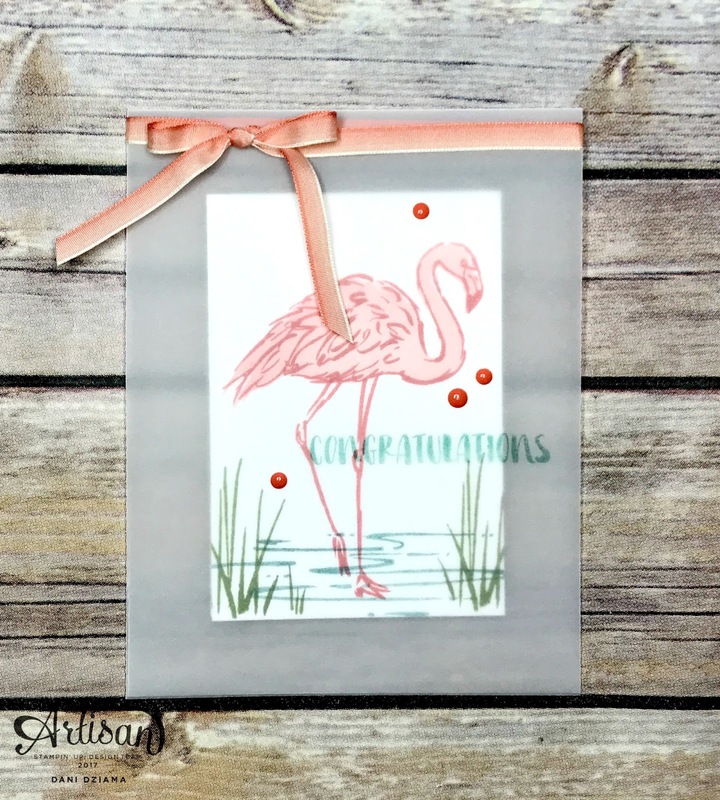 Have you seen the new Fabulous Flamingo photopolymer stamp set from the new Annual Catalog? It is SO much fun! 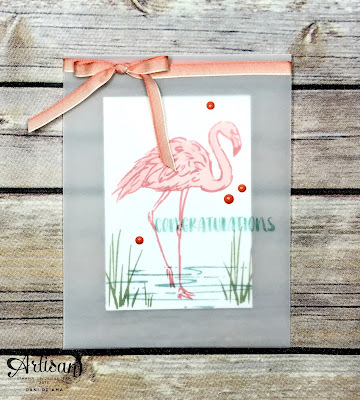 There are a few flamingo images (for 2-step stamping), palm leaves, grass, water, legs and sentiments. Everything you need to create a flamingo beach scene! My card tonight was created using a Whisper White card stock layer that measures 2-3/4" x 8". The card stock layer was scored in half at 4". I then stamped my flamingo scene onto the front of the Whisper White card stock layer. After my scene was complete- I carefully adhered the card stock layer inside the vellum. The congratulations sentiment was stamped directly onto the vellum using Tranquil Tide. 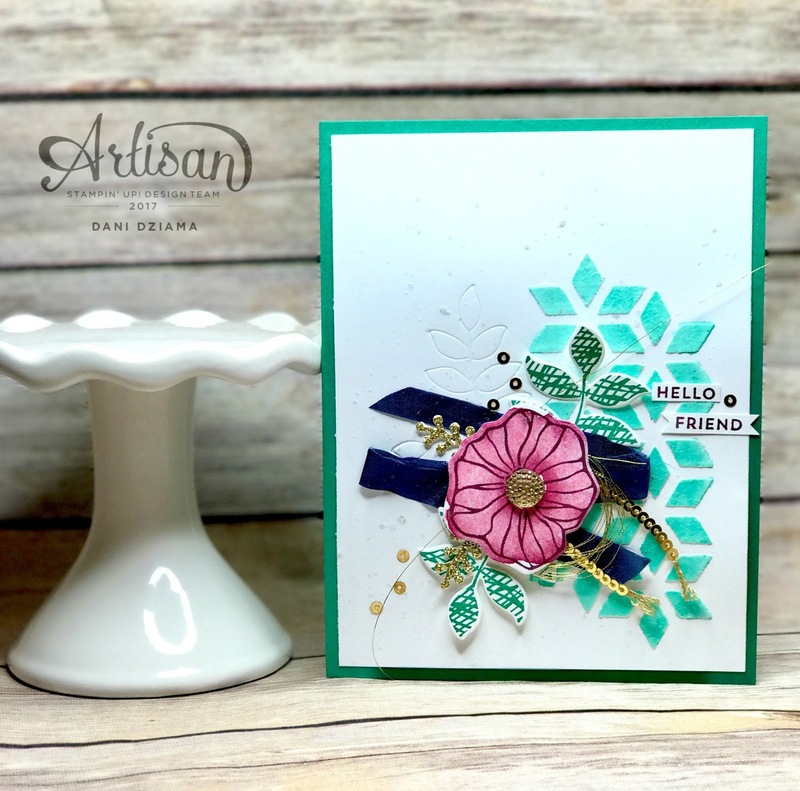 To finish the card off I added some Calypso Coral Enamal Shapes and a gorgeous bow created with the new 1/4" Calypso Coral Ombre Ribbon. Hello there! Are you enjoying the new Stampin' UP! products as much as I am? It's true! I did go a little crazy with my order but it's all good! That just means lots of gorgeous projects for you to see! When I went to OnStage back in April, I won a prize patrol for the Oh So Eclectic stamp set. I was SUPER excited as it was already on my wishlist from the new catalog! 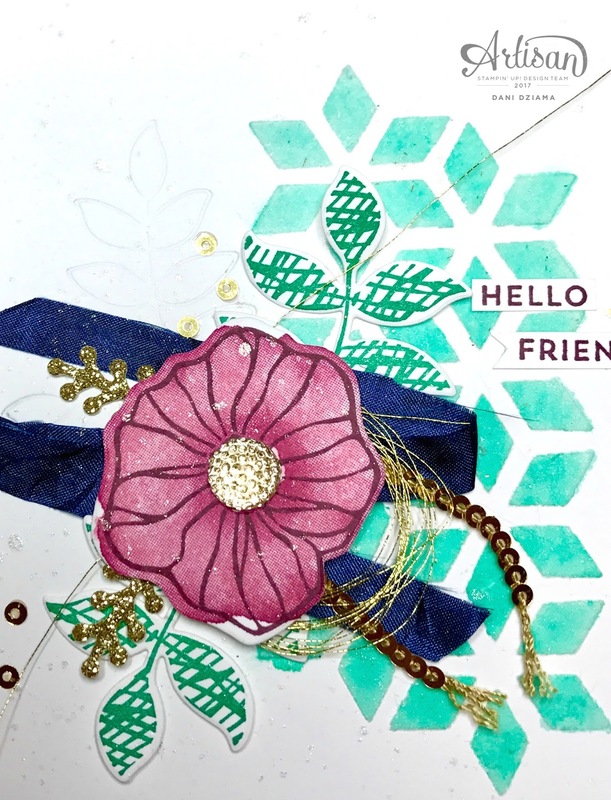 Now that the new Annual Catalog is live, I was able to order the coordinating Eclectic Layers Thinlits dies and let me tell you. They are AWESOME! See the funky pattern towards the right side of the card? I used the Eclectic Layers Thinlits to make my own custom stencil. 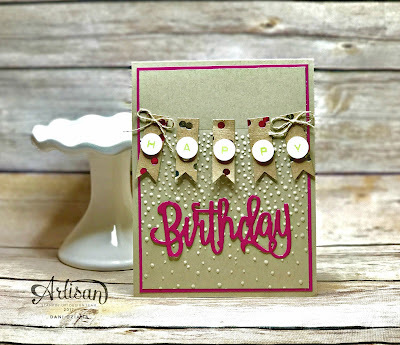 Next, I used the brand new Embossing Paste to add some texture. 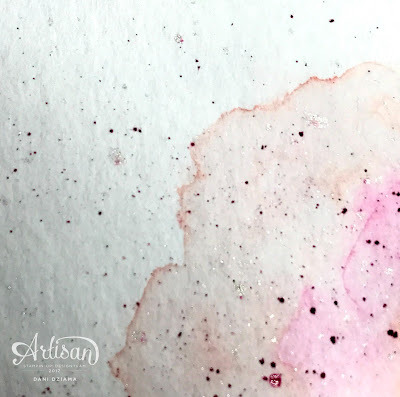 I then spritzed the Embossing Paste with a 70% alcohol and Emerald Envy mixture to add color. Isn't it lovely? One of my favorite parts about the Eclectic Layers Thinlits dies is the fact that not all of the dies are designed to cut. Some of them are specifically for embossing! Isn't that amazing? The embossing really adds a special touch! Good evening stampers! 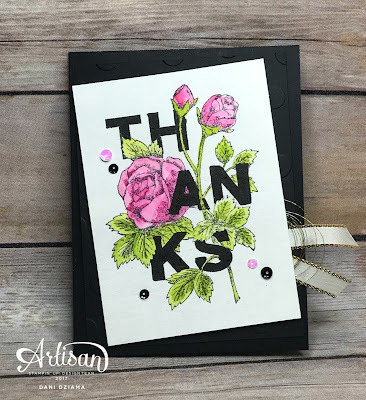 Today I received another fabulous Stampin' UP! shipment. It was like Christmas all over again only 6 months later! This order was a GREAT order. It contained multiple stamp sets, several packages of new designer series paper and lots of gorgeous ribbons/embellishments. It's always a tough decision when it comes to "what shall I play with first?". For some reason- the Petal Garden Suite was calling my name! 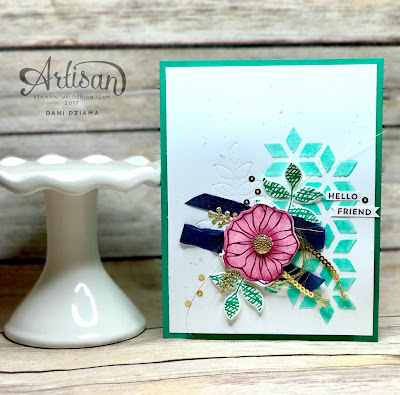 In this gorgeous suite, there is a stamp set called Graceful Garden, a 6" x 6" DSP stack (Petal Garden), 4 different colors of 1/8" Sheer Ribbon (Calypso Coral, Fresh Fig, Old Olive and Whisper White), a Garden Trellis Textured Embossing Folder, a coordinating Petal Garden Card Stock pack and last but certainly not least- the new Petal Garden Memories & More Card Pack. That's a TON! As I began to play around with this set- I wasn't sure what I would come up with. I wanted to do something quick and simple. This is what I ended up with. It's a little difficult to tell from the picture but my color scheme was Soft Sky, Rich Razzleberry, Old Olive and Calypso Coral. These colors are absolutely beautiful together. There is a larger rose in the Graceful Garden stamp set however tonight I simply fussy cut the rose from a piece of the 6" x 6" Petal Garden DSP stack and adhered it onto the card using Stampin' Dimensional's. My projects tonight feature a really fun new stamp set called Pocket Full of Sunshine. This 20 piece photopolymer stamp set features images such as a pocket, money, sun/sunrays, sunglasses and several sentiments/embellishments. As you can see from the picture- there are also coordinating framelits! I think my favorite part of this card is the sunglasses. 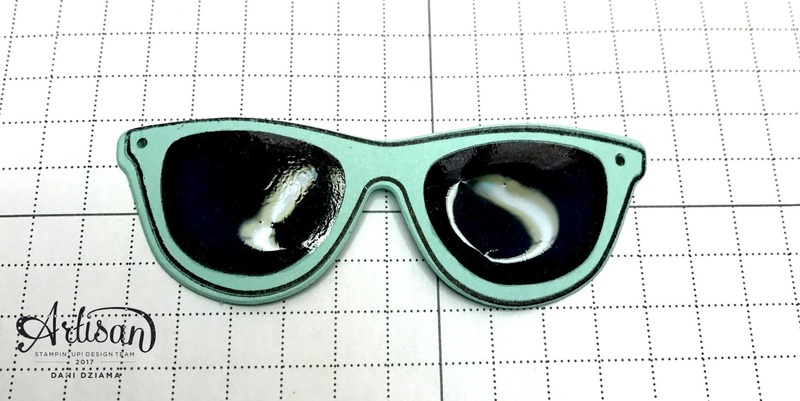 Every pair of sunglasses needs to have lenses! Yes, the stamped image has lenses but why not make them look a little more realistic? To do this- just use my favorite technique and fill the lenses in using the Fine Tip Glue Pen. Just be sure to set them aside for an hour or so so that the glue dries well! Super cute! Here is a close up of some of the details. As you can see- the glasses have dried nicely! 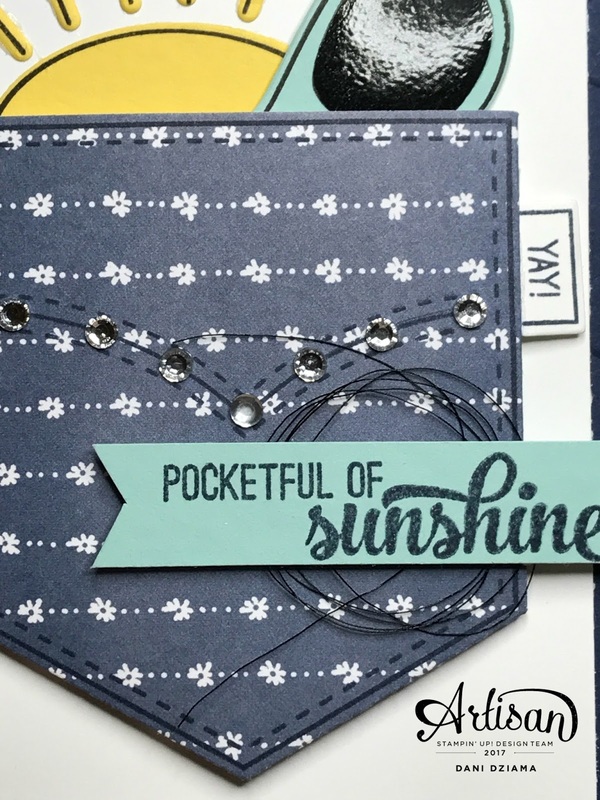 I added a few Rhinestone Basic Jewels to make the pocket look like a "designer" pocket. Isn't the little YAY tag cute? I also created an adorable little pocket pouch. 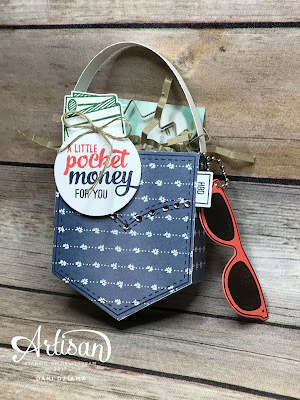 This little pocket is the perfect size for cash, gift cards, candy or other tiny treats. See the score lines around the pocket? 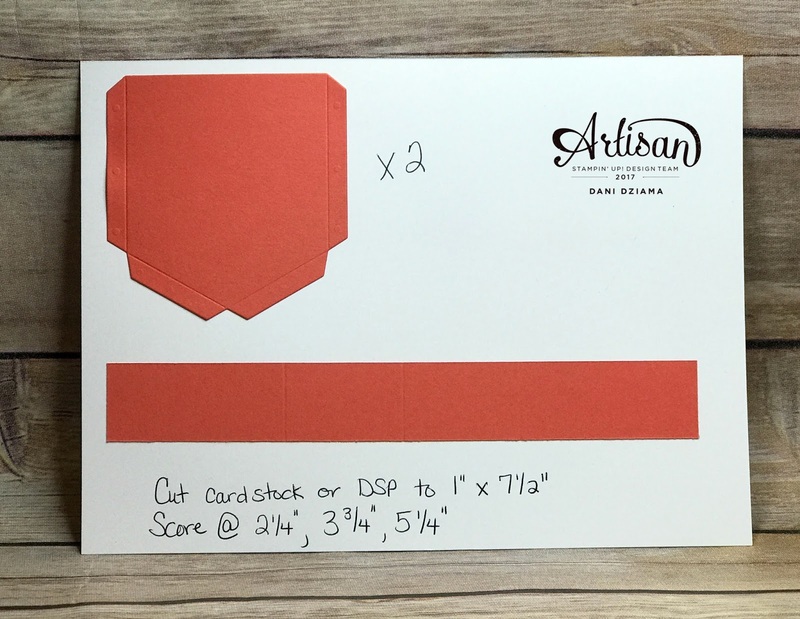 Simply fold on the score lines and adhere to the card stock/DSP strip using your choice of adhesive. I used the Multipurpose Liquid Glue but Fast Fuse would also work. Hello there! Have you been having fun looking through the new Stampin' UP! Annual Catalog? I know I sure have! I actually just received my first box of new catalog product (well...I already had some new product- but my package today was filled with things that weren't on the demonstrator preorder). When my box arrived, I wasn't actually able to open it right away. You see today is my friend Julie's birthday and since she is having a weekend retreat 30 miles from my house I decided to surprise her instead. I stayed to visit for a few hours and then came home to play! The first set I picked up was the Floral Statements set. This set is absolutely GORGEOUS! I'm totally in love with it! It truly makes the prettiest cards! 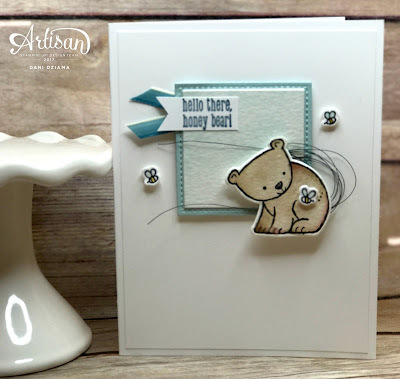 Did you notice that I used the new Polka Dot Basics Embossing folder to create an embossed background for my top layer? The polka dots on this folder are the perfect size! Not too big and not too small! Here's a close up of some of the embellishments. I gotta say- that new 3/8" Metallic Edge Ribbon is pretty fabulous. It ties nicely and has such a silky smooth texture. And what about those new Metallic Sequins? They are GREAT! I love how there are black sequins and iridescent sequins! They pop! 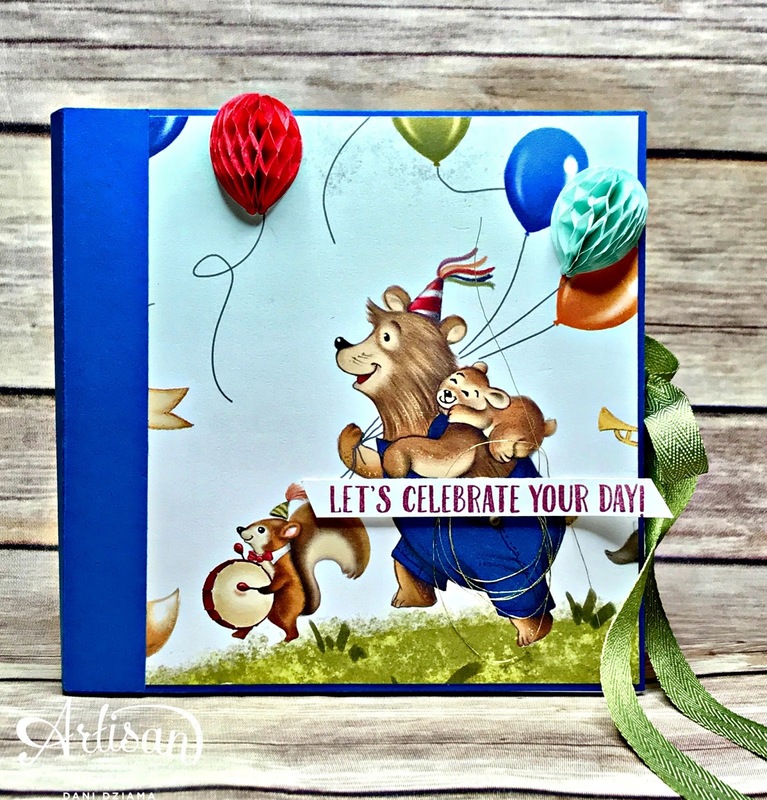 Remember- for the month of June ONLY- you'll receive the Birthday Memories Mini Scrapbook Tutorial FREE with your $40 purchase! The link to shop is on the right side bar. Once I receive confirmation of purchase- I will send the tutorial to you via email. This tutorial is a 32 page full color tutorial with easy to follow directions. Please use hostess code: HVKQWYXB when checking out. For our hop today I'm featuring the Happy Birthday Thinlits die from the brand new 2017-2018 Stampin' UP! Annual Catalog. I love how versatile this die can be. 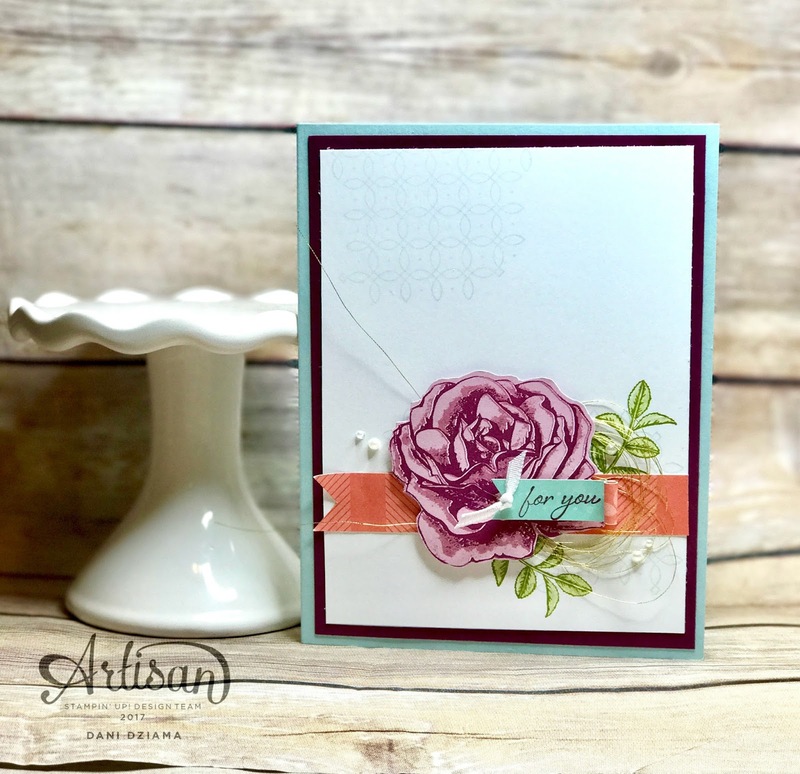 It pairs so well with many different stamp sets, can be used on it's own or cut apart and used separately. To create the banners, I used the Foil Frenzy Specialty Designer Series Paper. This DSP has 3 single sided foil patterns in 4 different colors. The colors in the paper are Berry Burst, Lemon Lime Twist, Soft Sky and Tangerine Tango. 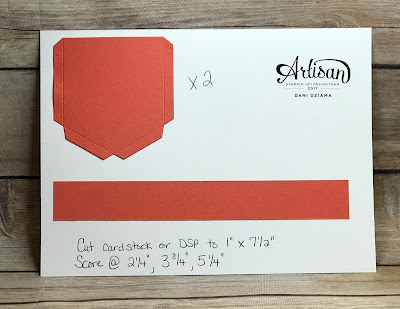 Each banner measures 1/2" x 1-1/2" and was adhered to the front of the card using a tiny strip of Fast Fuse along the top portion of the banner. 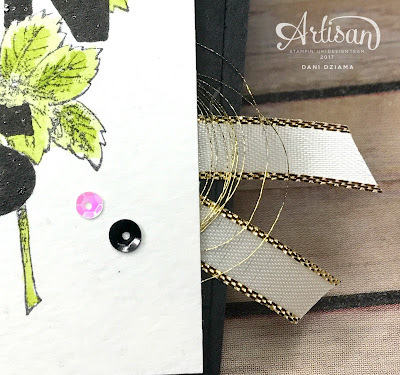 Using the Labeler Alphabet and Lemon Lime Twist ink- each letter was carefully stamped onto a 1/2" Whisper White circle then adhered to the banner using a Stampin' Dimensional. Quite possibly my favorite element on this entire card is the Birthday die cut. It's so shiny! 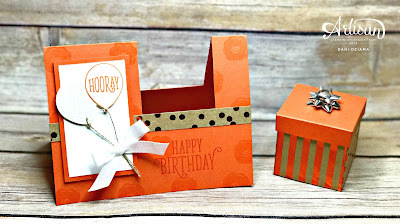 To create this effect- I first cut out the Happy Birthday sentiment from the Happy Birthday Thinlits Die. I then used Paper Snips to cut the Happy portion away. Using the Fine Tip Glue Pen- I then proceeded to fill in the entire Birthday image. It was set aside to dry and then was adhered to the front of the card. I love how such a simple process can add a special effect to a card. Today is the day!!! 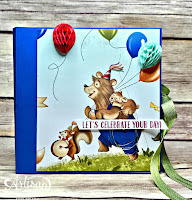 The Birthday Memories Mini Scrapbook Tutorial is now available! 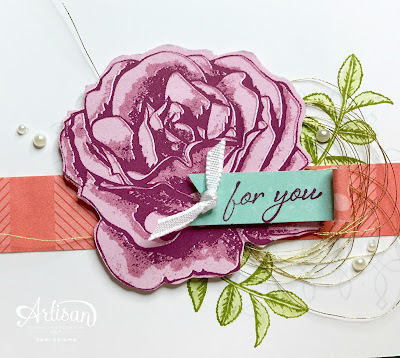 This tutorial is FREE with any $40 purchase from my Stampin' UP! store! The tutorial itself features 32 pages of full color pictures as well as written instructions to create a book of your own! To access my store- simply click the SHOP WITH ME button on the left side bar to be taken directly to my store! Once I receive confirmation for your order- I will email the tutorial to you.